If I may say so myself, my Emily Culottes are truly the bomb. They make me feel beautiful and are a breeze to wear. If you haven’t sewn a pair yet, here’s the opportunity! Maris from Sew Maris will be leading a sew-along with Emily Culottes, starting July 27th. It is such a privilege to have Maris running this sew-along. She offers seriously awesome sewing lessons to people of all ages. She is also an esteemed author and contributor of sewing articles online and in print around the world. There’s also a coupon code for a 30% off on the Emily Culottes pattern. Check out her post to find the coupon code. Please join in the fun! 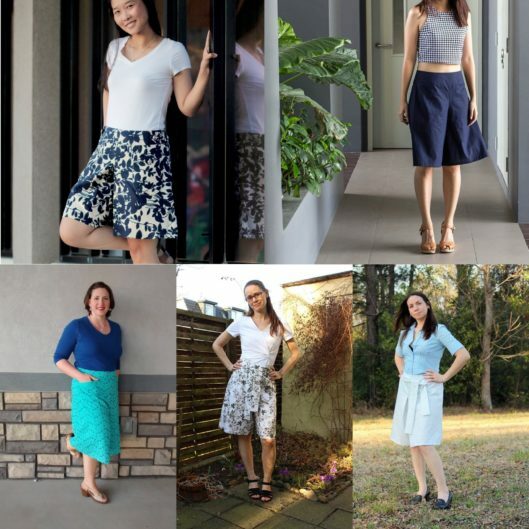 There’s a special Facebook group where you can interact with other Emily Culottes sew-along participants. I’ll be there sewing another pair for myself too. Hope to see you there!